Whether a new startup or a small business, a good bookkeeper is crucially important for every business to manage the day-to-day accounting and keep the business finances on track. But what would be the exact way to hire the right bookkeeper? Possibly you can be your own bookkeeper, but like most entrepreneurs, what if you are not trained in the field? So, it is advisable for small businesses to hire experts and let them manage this everyday task. Here, through this guide, we will refer why hiring a corporate bookkeeping services makes an important decision of doing business. We will here also refer the correct way of hiring the right person for your small business. 1 Why Do You need to Hire Professional Bookkeeping Services? Why Do You need to Hire Professional Bookkeeping Services? You might think you don’t require hiring an extra person to manage your business bookkeeping since your accountant can deal with the numbers from time to time. Bear in mind, bookkeeping and accounting are two different tasks. Below listed are three key reasons for hiring a professional bookkeeper for your small business. Bookkeeper saves You Time – Dealing out expenses, payments and receipts are all what bookkeepers need to manage. They have the expertise to deal with this work on daily basis. They are familiar with assigning expenses to specific clients; they know the right way of taking all your numbers into your accounting software; they know the right way of preparing transactions to get you a sensible business report. Overall, bookkeeping is a skill, and an expert bookkeeper can manage the tasks more capable than you can. Bookkeeper Know Your Business – Professional bookkeepers have an extensive knowledge of your business finances since they deal with your everyday accounts. They share this knowledge with you in the right way to help you work out where your business should progress. They can identify any issues at the right time and help you resolve them in the right way. Expert corporate bookkeeper keeps an eye on your finances to help you keep away from any jeopardy. Bookkeeper Manage Your Cash Flow – It is the bookkeeper who keeps an eye on your day-to-day accounts and not an accountant. Moreover, it is the bookkeeper who helps you control your cash flow which is vitally important for your business growth. Signing a professional bookkeeper is like employing any other specialized staff. It is vital to understand what you need before searching out the person. This will help you identify the right person that will suit your expectation. Here are some essential points you should consider. Type of Business You Own – What sort of business you operate? Do you run a manufacturing company or have a retail business. All businesses have different bookkeeping requirements. Number of Transactions you make – Be clear with the number of transactions your company make whether on daily basis, weekly or even monthly. This will help you to decide on how much exact time you will need for bookkeeping. The Accounting Software you Use – Do you use online or offline accounting software? More preferable is the online one. If you are using online software your bookkeeper will be able to share data securely at the desired time with you. Task You Want Your Bookkeeper Should Manage – Think about what tasks you want to hand over to your bookkeeper company; whether it is about credit control, payroll or any other debt collection. Professional bookkeepers can also chase up the debt customers owe you. When seeking for the right person, you will come across a list full of bookkeeping services in Toronto. Here we will refer a few essential points to narrow down your list. Plan out Whom You Want to Hire – Initially, it is important to decide on whom you would prefer; an individual consultant or a bookkeeping company. Hiring a full-time in-house employee would also be a good choice. Your decision completely depends on the size and requirements of your business. Decide on location; when necessary – If you are using online accounting software you will be able to share access to your accounts date with your bookkeeper. But still, you might need to meet the person face to face whenever needed. So, it is important to choose someone who is easy to reach out to in person. The social platform is the best place – A list full of bookkeeping professionals you can find out through social networks; especially like LinkedIn. See if there is anyone recommended by your known ones. You can also contact your local chambers of commerce or some business advisors you know. They can also help you get someone suitable. Check Out the Experience – Alike accountants bookkeepers don’t require any professional qualifications before legally getting started with the work, but certification should be there. Find out since how long the person or the company is working and especially how many clients do they have worked for. See how many of the past clients are in the same business like you. It is a good idea to talk to some of the clients; especially those who are in the same business. A professional bookkeeper is your financial helper; your company’s co-pilot. He is the person that keeps things in order out of disorders. He is the person who manages all your business numbers, bills, receipts as well as other account details and takes it all into your account software in the right way. 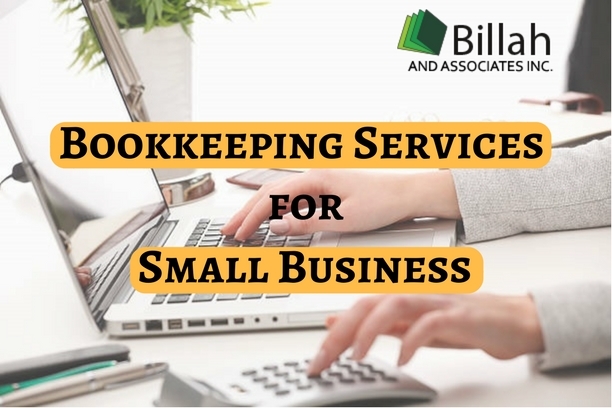 Professional small business bookkeeping services spin each and every monetary data into significant financial information – correctly placed, filed and organized. This can moreover get you the immediate view of how healthy your business is. Is this something you think, you will be able to manage on your own? Pay to save your time and make sure you sign the right person.